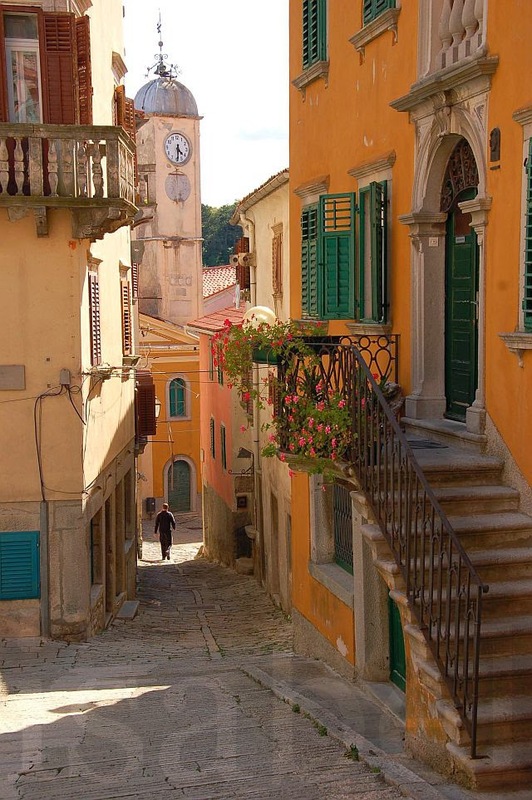 Labin is another charming Istrian hilltop town located just a few kilometres from the eastern coast. The old town has typical narrow cobblestone streets and passageways, a town gate, churches and church towers, and many remnants of its Venetian and Italian past. 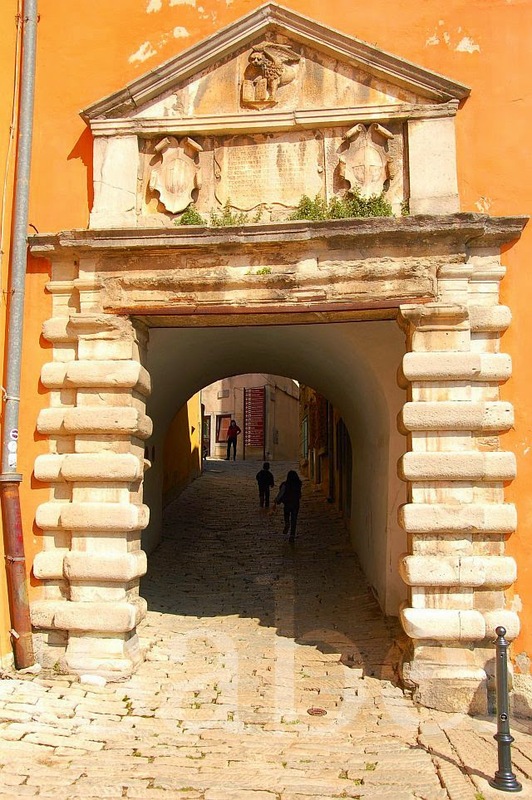 Porta Sanfior (gate of St. Flora), Labin's town gate, dates back to 1587. 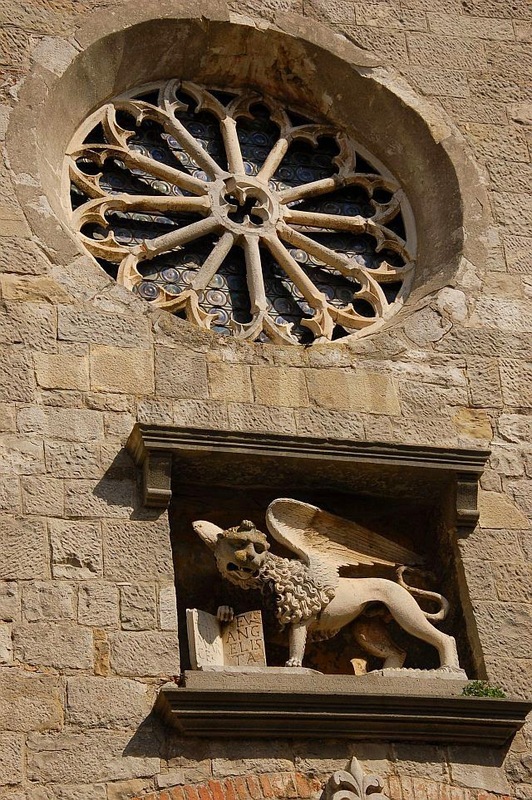 The city's coat of arms is just seen above and the winged lion of Venice. 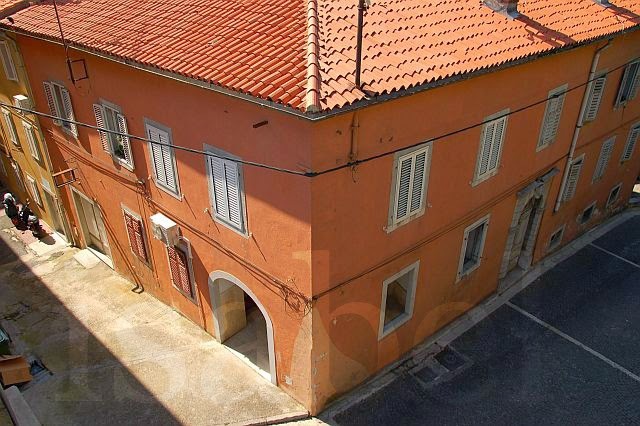 Labin sits on top of a hill 320 metres above sea level. 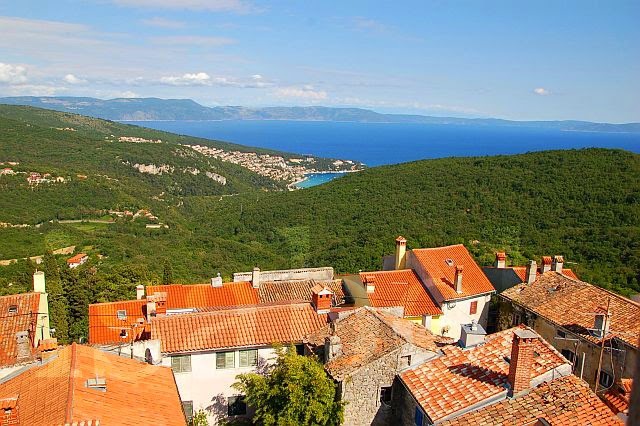 A climb up the bell tower is rewarded with fabulous views of the sea and the seaside town of Rabac. From the other side of the tower, I could see the hilltop towns of Gračišće and Pićan. 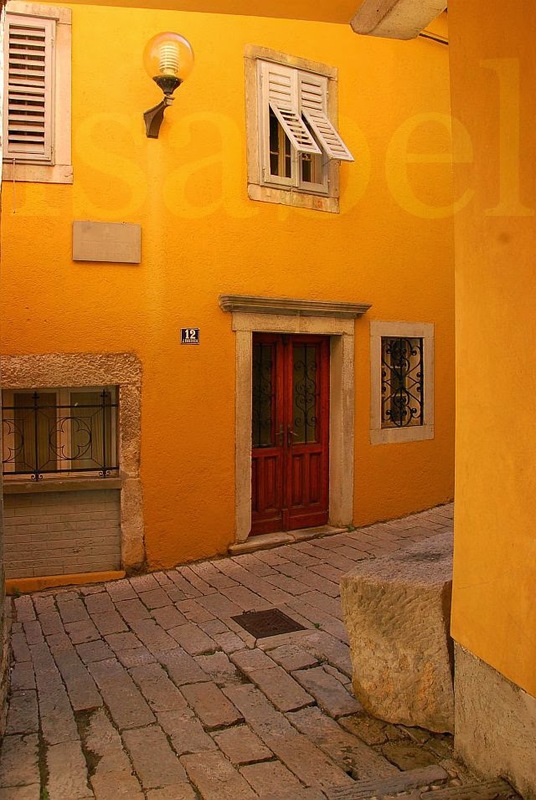 Like other coastal areas and cities of Istria, Labin was part of the Venetian Republic from 1420 to 1797. 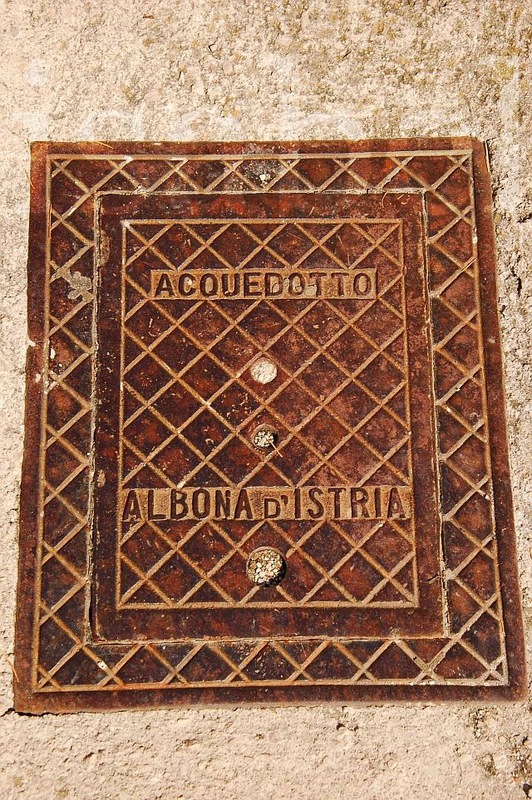 This manhole cover is a remnant of its Italian past: Albona is Labin’s Italian name. 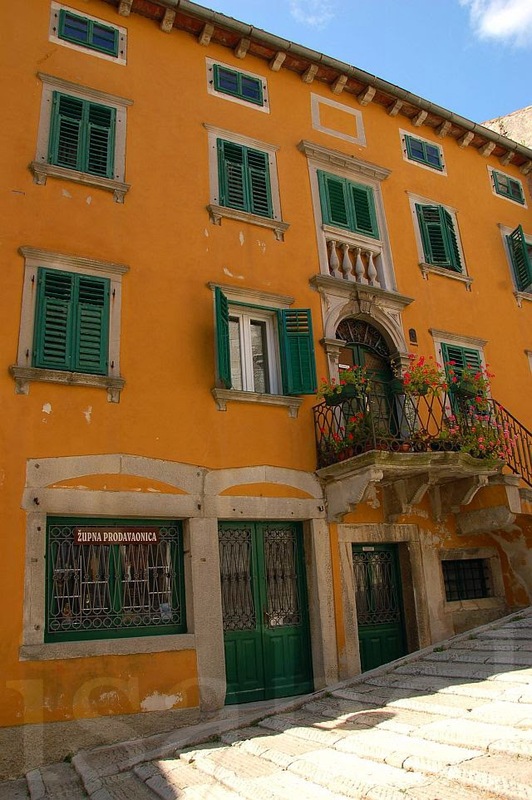 Labin has many magnificent examples of Baroque palaces. Beautiful. We were just there in Istria this summer, but I can see I need to add a lot more places on my "Want To See List." Thanks for posting! wow, I love all those bright colors with contrasting shutters, dazzling. I would love to visit Istria. The view from the bell tower is simply breathtaking!... as are the beautiful saturated colors of the buildings and old palaces. So wonderfully Venetian.